Some are surprised to learn though that Seoul offers a number of excellent Japanese ramen stores. Of those, many of them have their beginnings rooted in the Hongdae area which is also the case of today's featured place, Menya Sandaime. 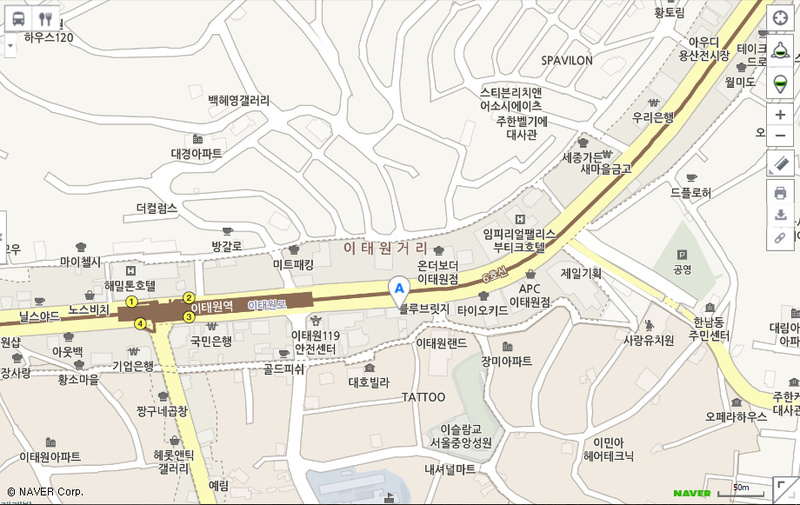 The shop got its start in Hongdae by owner Kim Young Il and chef Kanemoto Hideo using a top secret recipe they developed. Since the original Hongdae shop's opening, the ramen chain has exploded in popularity with branches in Daehakno, Gangnam, Itaewon opening up and even in other cities like Suwon and Busan. As a testament to its popularity, both the branch not too far from my workplace and the one in Itaewon, which I've been on few occasions, is seemingly packed on weekdays and weeknights with lines not uncommon at peak hours. The reason behind the chain's success lies in the ramen joint's commitment to authenticity and quality. The stock for the ramen is boiled for hours everyday using grade 1 pork bones. I've heard they even use a special hydrogen-bonded water (h4o?) that's been popular in Japan though I'm not sure what sort of difference that makes with the ramen. They also pull their own ramen noodles. The original branch used to feature only three varieties of the ramen, the regular donkotsu, the spicy karakkuchi ramen, and the ramen and broth separate tsukemen. The branches have expanded though now to include menu items like seafood-based tokotsu ramen called the kuro (black) ramen, a Sapporo-style miso ramen, and even a cold, chicken broth based hiyashi tantanmen that's only sold in the summer. I've noticed though that between the different branches there's a slight alteration in variety. Prices generally run between 7 to 9K a bowl. They're also well known for their homemade gyoza which are steamed and then fried for a wonderful and fun texture. Part of the fun that comes with ordering your ramen are the different toppings you can add which includes grilled pork belly (chashyu), boiled egg (tamago), etc, with toppings running between 1-2K. You can also order draft Japanese beer and sake (cold or hot) with your ramen. I will say, that depending on the branches, some of the menu and customization seems to differ slightly. For example, the Itaewon branch features cold ramen and some stir-fried version which I haven't seen in the Daehakno branch. The branches generally have a cozy, wooden interior with anime figurines that isn't different from many shops in Japan. The Itaewon branch even has a noodle pulling machine set-up outside. I've sampled the four main varieties of ramen that are staple in all the branches (tonkotsu, karakuchi, miso, and kuro) through a few visits and I'd say my personal favorites are the tonkotsu and karakuchi. But if it's your first time, I'd say go with the basic Tonkotsu to appreciate how good Menya Sandaime has its basics down. One sip of the caramel-hued, rich broth and you know this isn't stock that was made haphazardly. I mean, this is broth you know you can't replicate at home unless you have 20-some hours of spare time to draw out the goodness of every last bit of the pork bone marrow and goods. Tiny flecks of the clear pork fat bob on the broth's surface which clings to the chewy noodles when you bring them out of the stock with your chopsticks. Adding to the savory broth are ribbons of scallions, a bit of mung bean sprouts, and just a hint of minced garlic. And that bit of high heat char the chashu goes through before being added adds just a hint of smokiness to everything without muddling it. The bowl is pretty deep too so I've found a bowl with a shared order of gyoza is enough to make me happy for a meal. In a bit of a Korean twist, the side that comes with all ramen orders is a chives kimchi. There's something about chives that pairs well with pork, especially fattier cuts and the bit of spicy edge to the seasoning is great to cut into the fatty pork broth without overpowering it. You can also ask for shichimi togarashi though I don't think the ramen calls for it. Noodles have just enough bite to them and aren't overly starchy. Too many times I've run into noodles that have their flour ratio off and making a bowl of ramen taste like wheat rolls in broth. Miso ramen mixes the pork broth with miso and then comes topped with vegetables such as carrots, cabbage, mung bean sprouts, scallions, and marinated egg. Their gyoza is also a popular side menu. Steamed, then fried to give it a nice little crackly exterior. Pork, lots of chives and nicely seasoned. They provide a chili oil and soy sauce and vinegar dips on the side. Great play in texture from the softer top and the crispy layer on its belly. Plenty of excellent, top notch ramen joints around Seoul but Menya Sandaime is the best among any ramen chain I've come across dishing out hearty bowls of ramen that are reliable in taste and quality. Their numerous locations and late night hours (some even 24 hours) makes it a great option for whenever you have a hankering. Walk out of exit 3 and go straight for about 200 m and you'll see Menya Sandaime on your right. Kirin beer (draft), cold and hot sake available. The Itaewon branch is open 24 hours meaning you can get your ramen fix day or night... or twilight. Other branches are in Gangnam (near Sinnonhyeon), Daehakno, Konkuk University station, Hongdae, and more.